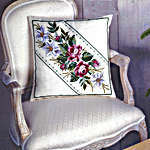 A large flower looking striking on this cushion. The large scale black and white chart is printed 10 stitches to two centimetres with key on an A3 sheet. 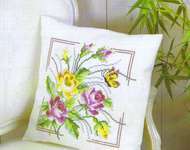 Worked complketely in whole cross stitch on 8 count Aida, this is quick to work. Pearl cotton is used throughout. 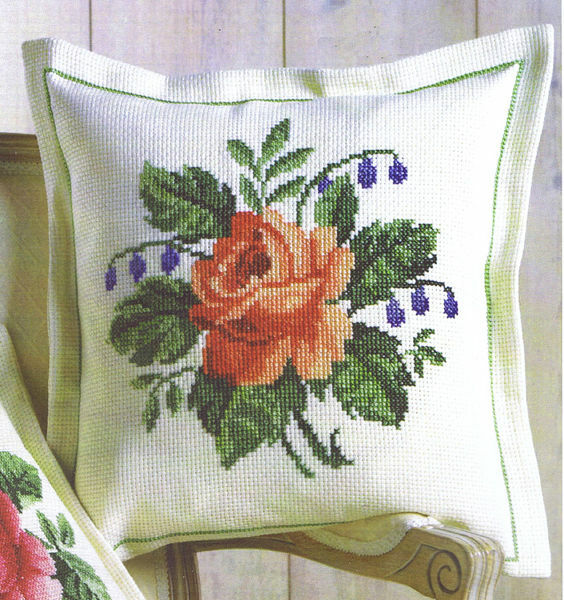 The flower and leaves design is stitched over 85 by 85 stitches with the single stitch border 112 stitches long on each side. Stitched on one half of the fabric with the remainder as backing.